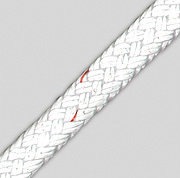 At Ascot Splicing we offer a range of high performance braids with Spectra® and Dyneema® cores. 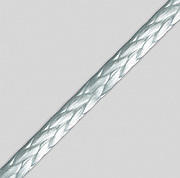 Spectra® cores ensure braids with low elongation and high strength. Spectra® braids include Spectraspeed™, Dinghy Racing and Southern Lights. Dyneema® SK75 is the world’s strongest fibre, with the ultimate strength to weight ratio for high performance applications. Dyneema® braids include Superbraid and Ocean 12. Custom colour and bulk rigger options available on request. Developed under the extremes of racing conditions in conjunction with the New Zealand Olympic and Kenwood Cup teams, Spectraspeed™ was designed to provide the optimum performance for the competitive sailor. Manufactured to minimise stretch, Spectraspeed's outstanding edge over other systems is its spun polypropylene inner sheath that removes movement against the core. Dinghy Racing is a technically advanced double braid that brings big boat technology to a dinghy-sized line. Used around the world by many top international, Olympic dinghy and small keelboat sailors, Dinghy Racing is ideal for small boat sheet and control lines. Features/ Benefits: Blended Polyester and Spectra® core, core can be removed to make Tapered Sheets, floats and will not absorb water. Available in 6 & 8mm in 100m spools. Available in Solid Blue with Red fleck, Solid Red with Blue fleck. Southern Lights is a single braided line designed for the purpose of reducing weight on board while retaining enough strength to provide for any number of sail and rig control tasks. Suitable for Control lines on keelboats, Main, Jib and Spinnaker sheets on dinghies. Features/ Benefits: Blended polypropylene and Spectra® offers excellent handling, very low stretch with high strength, floats and does not absorb water, light weight and non kinking construction. Available 5mm, 6mm & 8mm in 100m spools in Green, Blue or Red. SuperBraid was developed through exhaustive testing on Super Yachts, Jules Verne,The Race, Whitbread, Volvo Ocean Race, America ’s Cup, IOR,IMS,IMR and Olympic yachts. This development programme has seen subtle but significant changes to SuperBraid as fibre technology and manufacturing techniques improve. Primarily designed for use on sailboats, SuperBraid ’s versatility and advantages over traditional wire rope have seen an increase in its use across a broad range of applications. Features/ Benefits: Anti-slip coating on core prevents core/cover slippage and protects core if cover is removed, withstands shock loadings and accepts a tighter radius and knots better than Aramids. Suitable for all running rigging applications. Ocean 12 & Ocean 12 HS is the ultimate single braid construction providing ease of splicing, excellent round form to minimise abrasion and straight fibre alignment to optimise strength. Manufactured from Dyneema SK75®, the world’s strongest fibre and finished with an abrasion resistant and fibre binding Urethane coating for long life in harsh conditions of use. This braid can also be utilised as a core with additional protective braided jacket. Chafe Guard is a protective wear sleeve made from High Modulus PE Spectra®. Designed as a replacement for the standard polyester jacket in high abrasion applications such as Halyard ends.